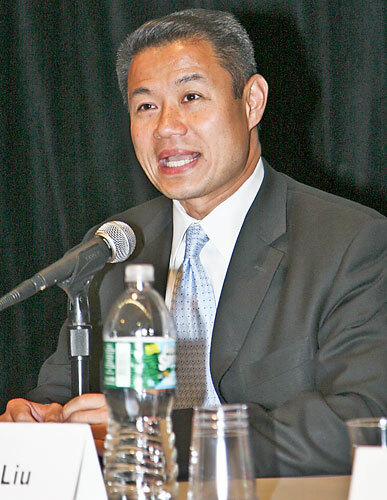 Last night I ventured over to my local polling station and cast a vote for a man named John Liu. John is a rarity: an Asian-American in politics. John got 76% of the vote for City Comptroller. With a percentage like that, people must believe he's the right guy for the job. I have to admit, I didn't even know what the Comptroller did until I started looking into John's campaign. Basically he'll function as New York City's CFO. CFO sounds much loftier than Comptroller. In contrast, the Mayoral race was a lot closer, really proving the importance of getting out and voting. Bloomberg only won by about 50,000 votes, a much smaller margin than what was generally expected. Every vote counts. At least in terms of last night.